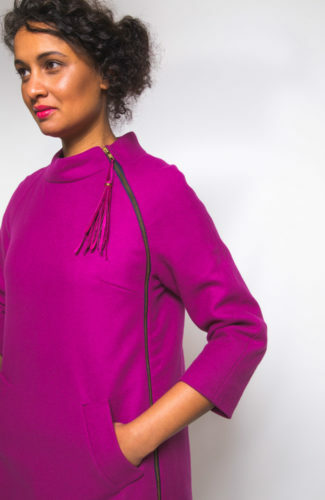 When I started working on our Charlie Caftan, I was conscious of designing something simple and gratifying to sew, with enough design detail to keep things from getting boring. 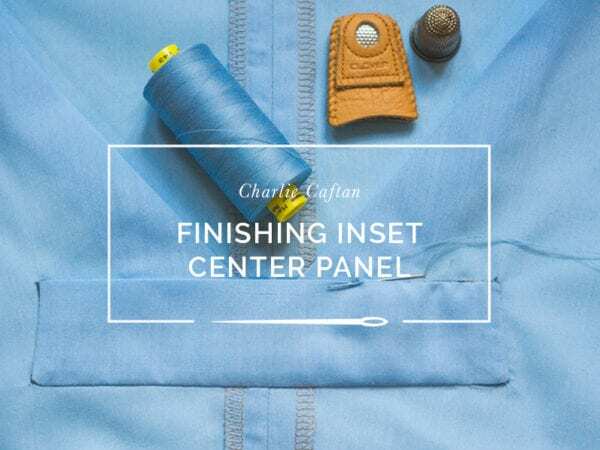 The inset center panel provides a little architectural interest and visually breaks things up. 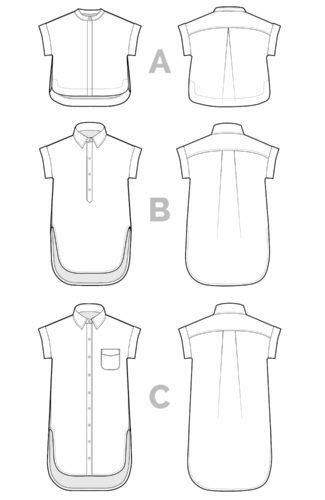 It’s probably the most challenging step to sew for this pattern, and we’ve had a lot of requests from you to break the process down. 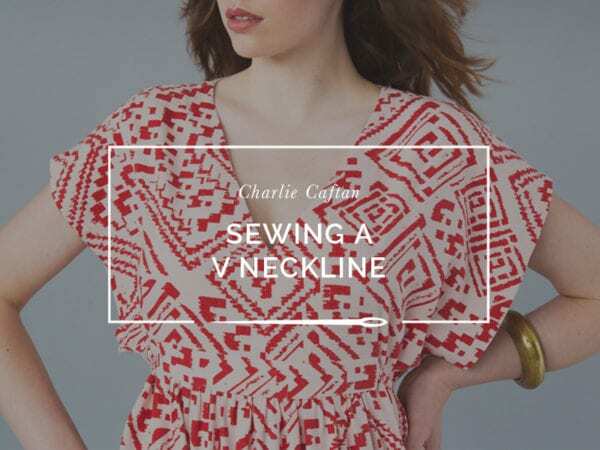 I’m pushing this tutorial up in our Charlie post queue for those of you who’ve been waiting for it. 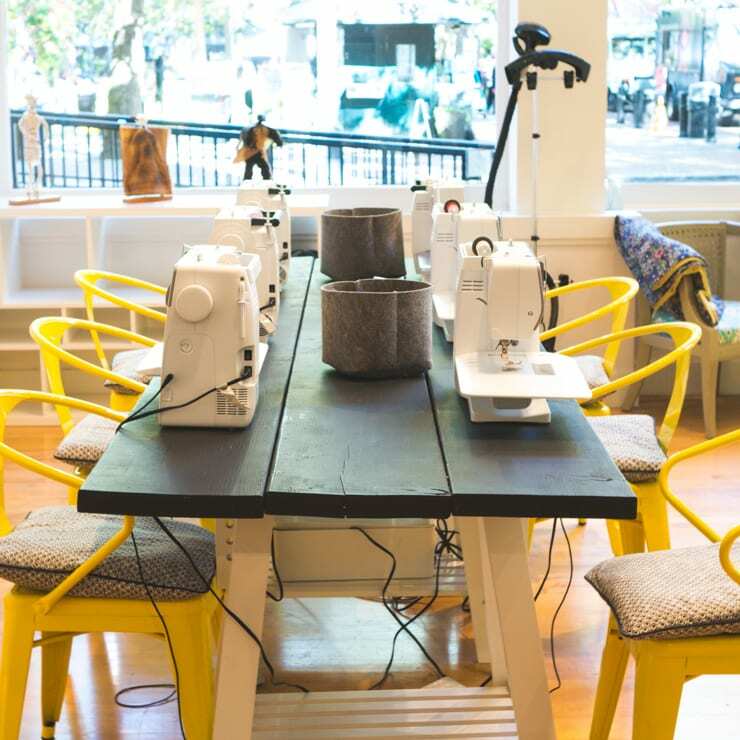 If you’ve never sewn an inset corner before, the technique can be a little tricky the first time around. 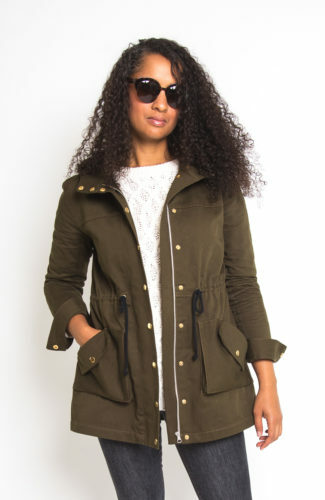 I promise it doesn’t require any magic or not rocket science, just a lot of precision and pinning! 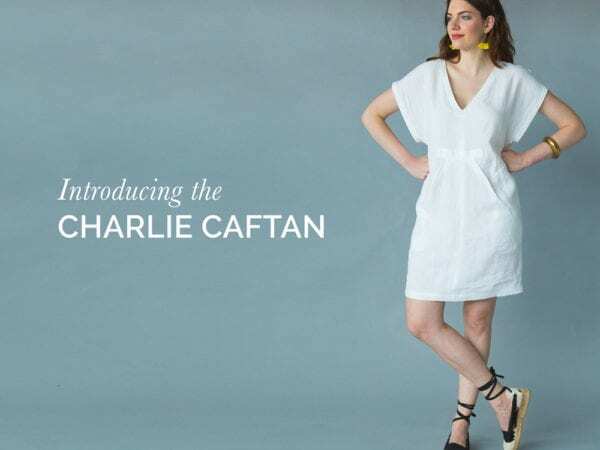 I definitely recommend practicing this technique once or twice before going full steam ahead on your Charlie Caftan. 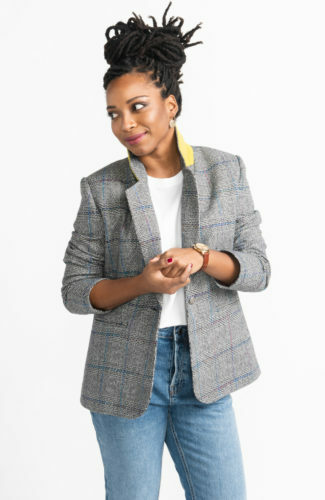 Before sewing up the samples for our photoshoot, Alexis sewed up a couple “half-fronts” to practice. 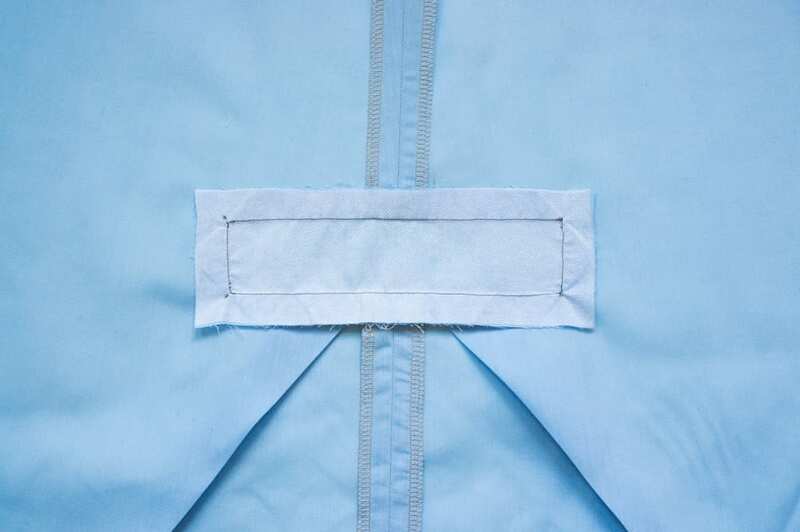 If you’re willing to sew up a test center panel, you can cut out the tops of your front pieces from some muslin, trimming at the bottom pocket notch to conserve fabric. 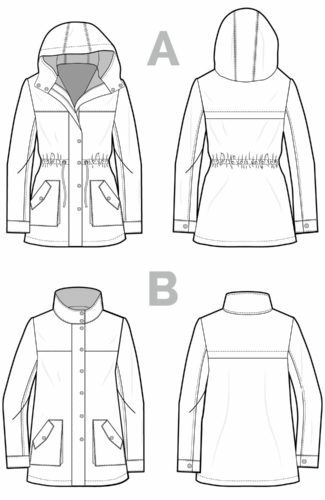 To start, you’ll need your front pieces cut out and carefully marked or notched in the indicated places. 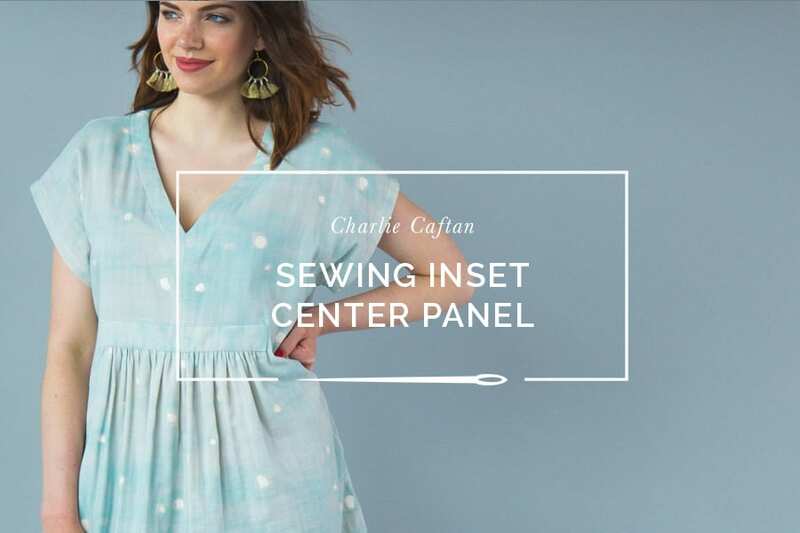 Carefully transfer the circle marks from your pattern piece to each of the four corners of the front bodice’s center panel opening (do this using a washable marking tool, marking the wrong side of the fabric). 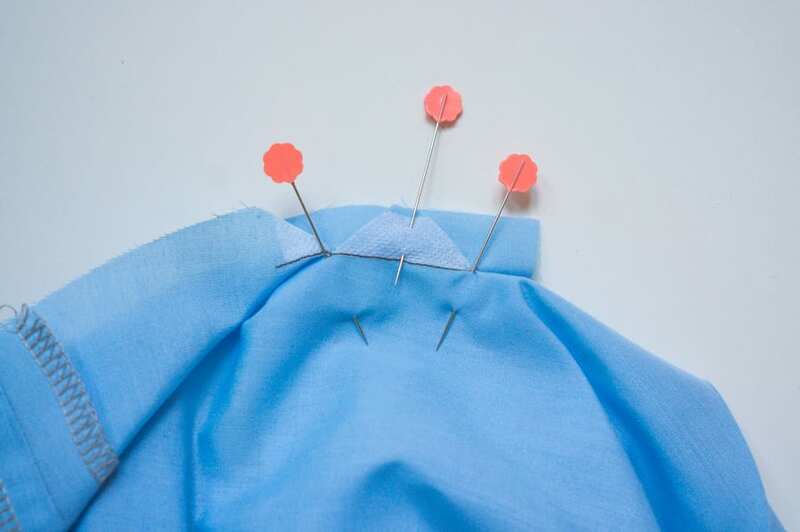 If you’re sewing the pleated View A version, don’t forget to notch the match points for your pleats, and mark the circle mark for the apex of each pleat. 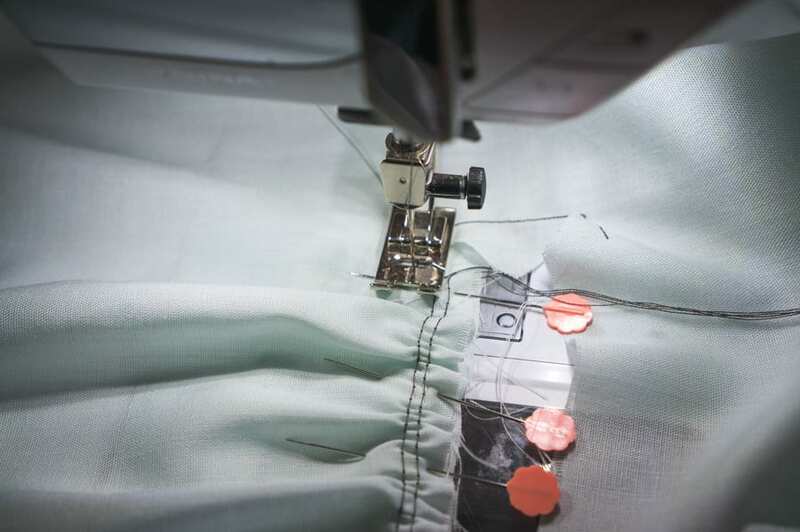 If your fabric is loosely woven or very delicate, you may want to add a little patch of interfacing in the area between your circle marks on each side of the panel opening to prevent the corners from fraying. This will help when we snip into the corners at a later step. 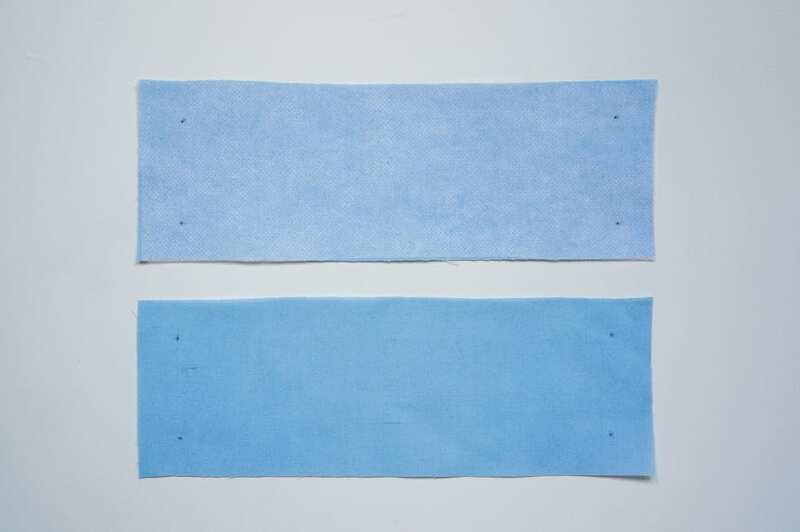 Cut a little piece of lightweight interfacing about 5/8″ wide, and the length between the two points. 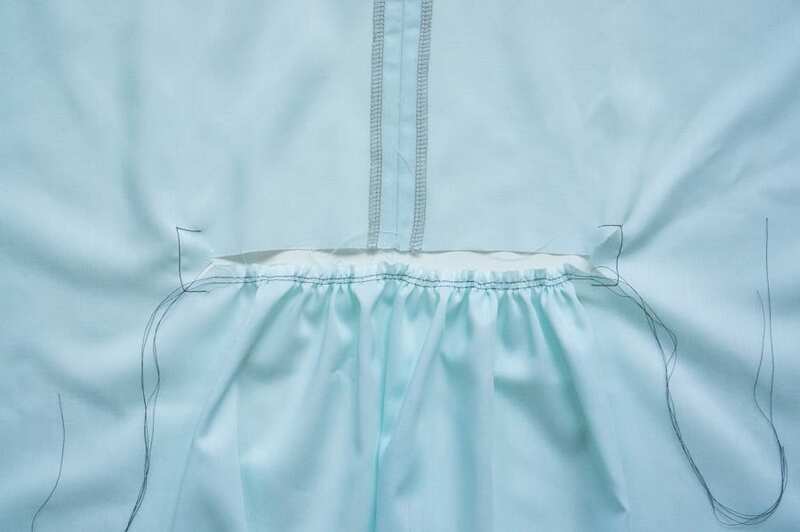 If your fabric is sheer, it’s important the interfacing doesn’t extend past this little area, or you might see it through the fabric from the right side when you’re done. 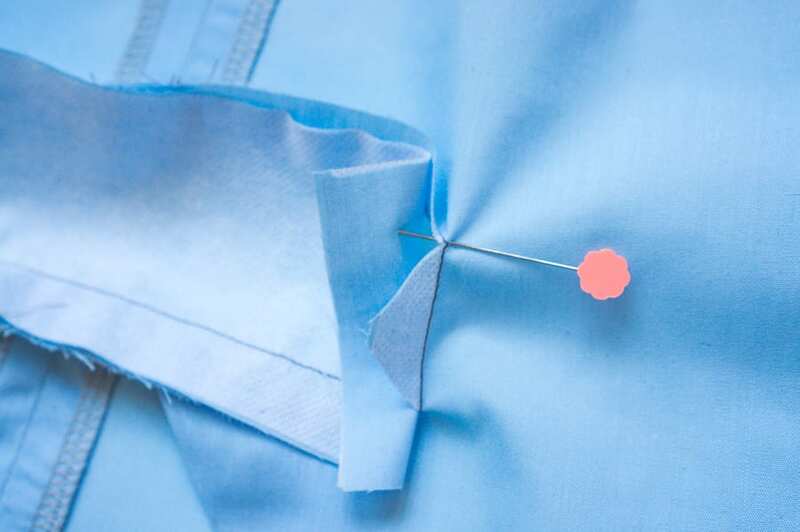 Alternatively, this Threads video shows a more “couture” method for reinforcing those corners by stitching a piece of organza to each corner first. 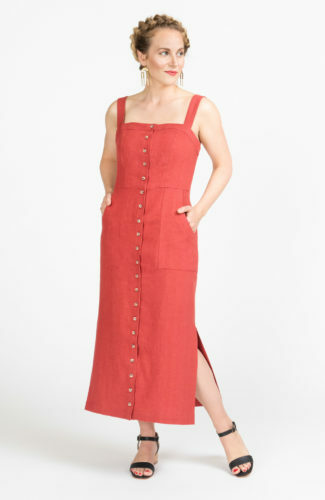 It takes a lot more time but might be a good option for very loosely woven fabrics. 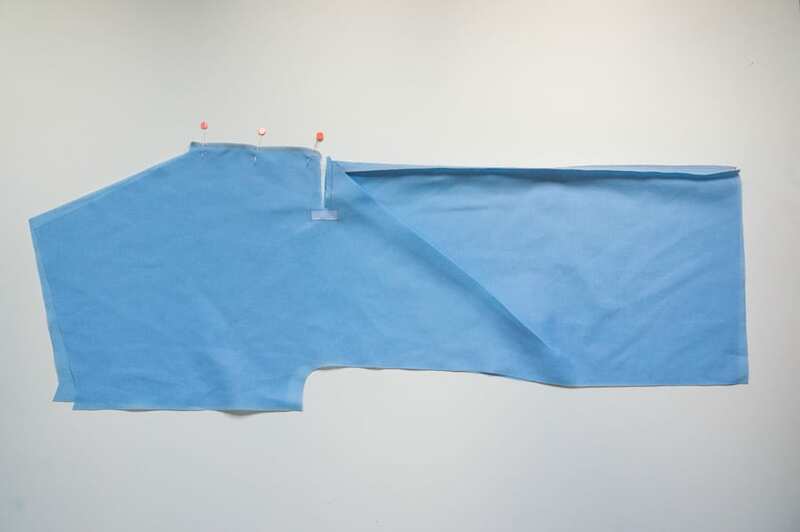 Whether you interface the area or not, we have to stay-stitch around the corners to help mark and reinforce the area where the panel will be inserted. 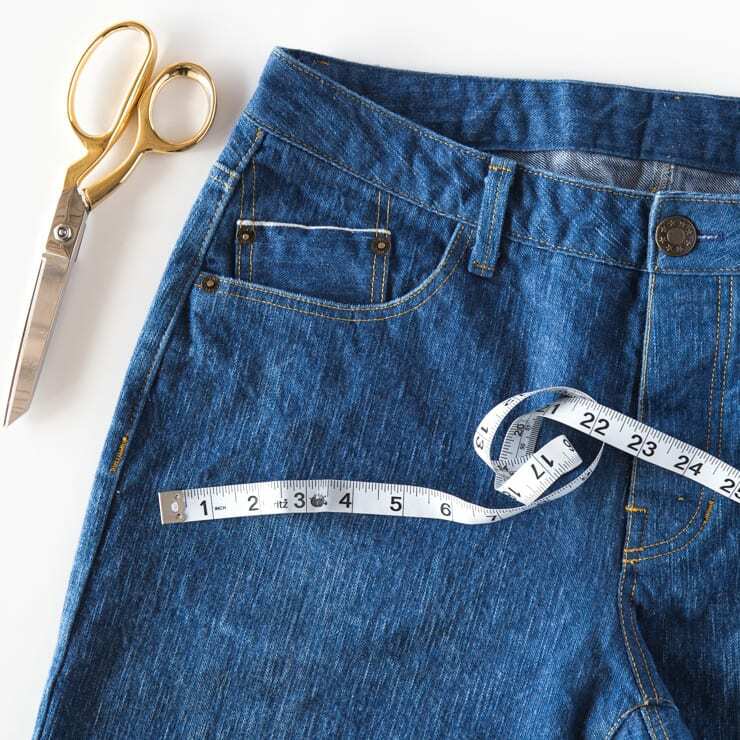 Shorten your stitch length to about 1.5 mm, and start the stitch line about 5/8″ away from the first circle mark, keeping your needle down when turning corners at the circle marks, ending 5/8″ after the second circle mark. Repeat for the other side. 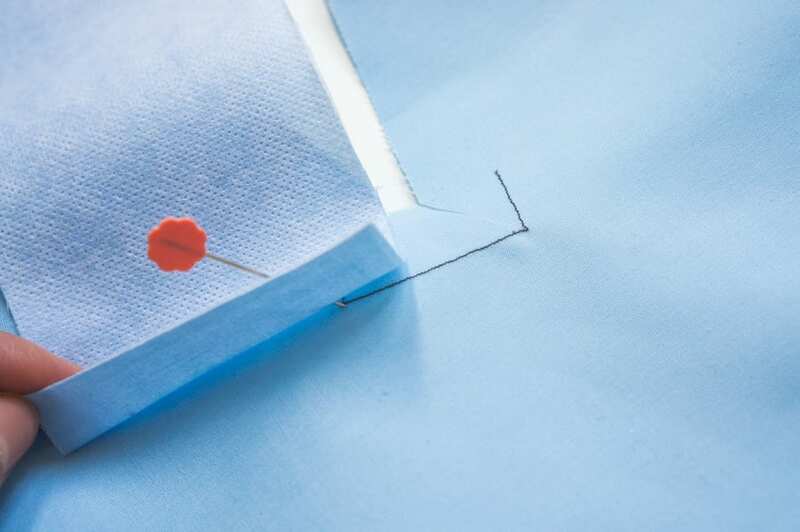 If you interfaced the area, you can use the patch of interfacing as a guide, or you could draw in the stitch line with a marking tool. 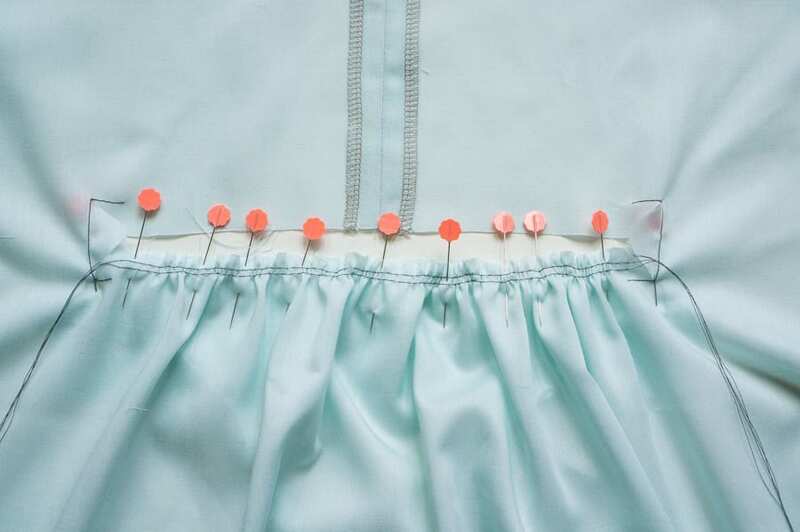 Finish the raw edges of your front bodice pieces, using either a serged or zig-zag stitch. For View A, finish the raw edges above and below the center panel opening. 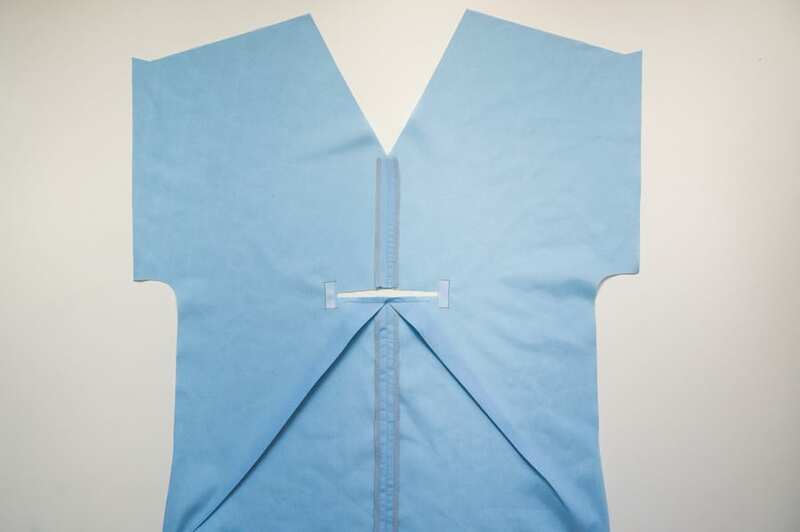 For Views B & C, you’ll just need to finish the edges between the V neckline and the center panel opening. 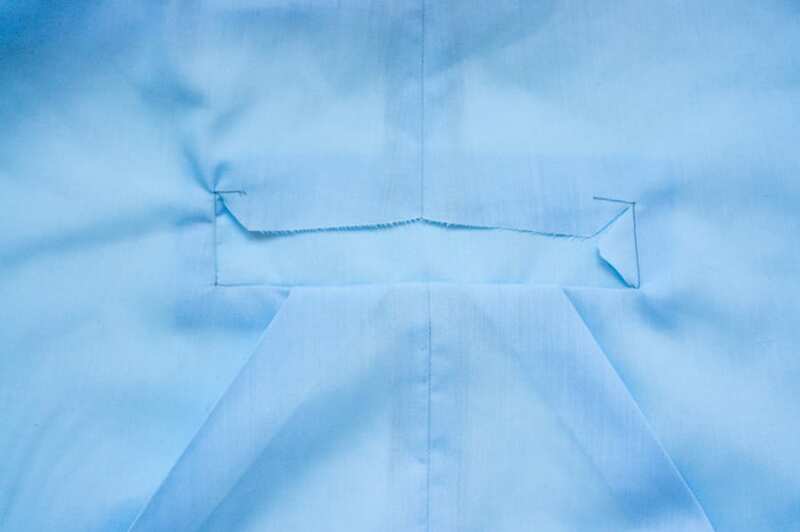 If you are serging these seams, make sure not to trim too much if you wish to neaten the edge, or it will affect your seam allowance when everything is sewn together. 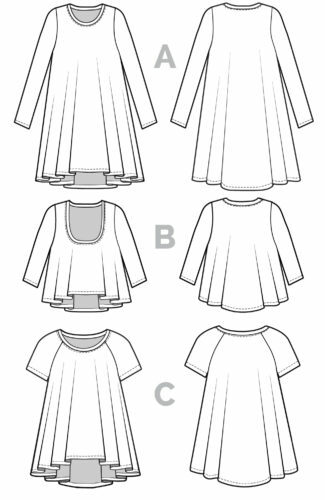 If you’re sewing View A, pin your two front bodice pieces with right sides together along the center front seam between the center panel opening and the hem. 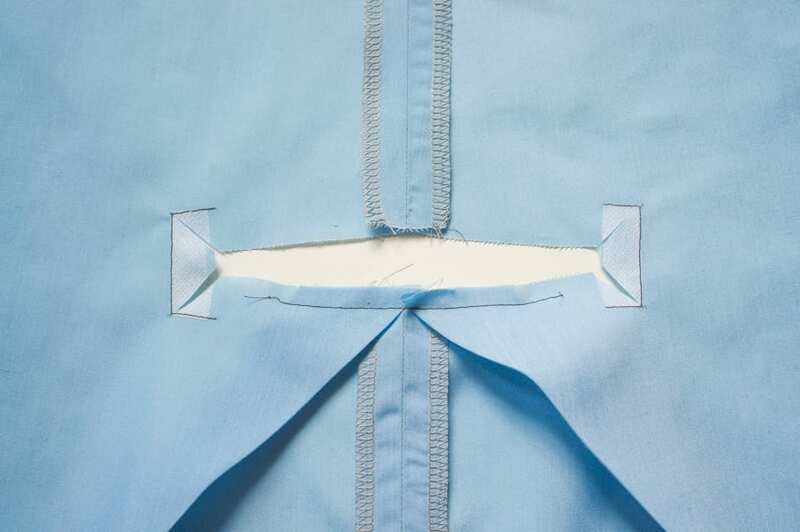 Sew the seam with your 5/8″ allowance, and press open. 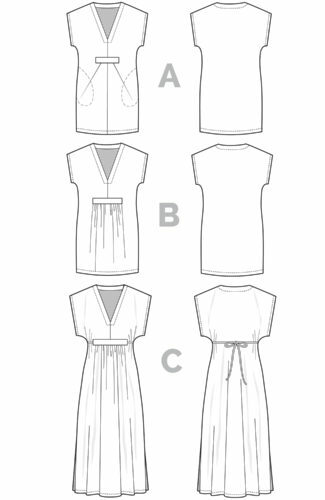 Match the notches for the pleats and fold each pleat down towards the center front, on the wrong side of your caftan front. 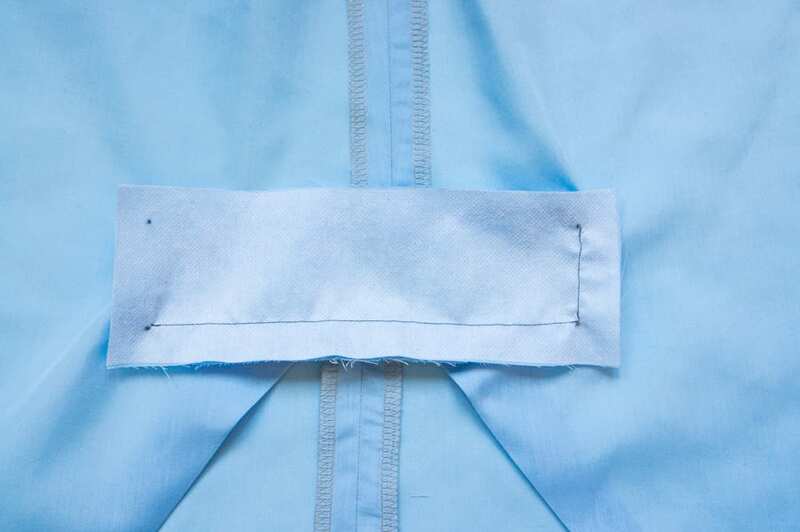 Fold the pleat down towards the apex, making sure the pleats are even on each side. Press and pin. 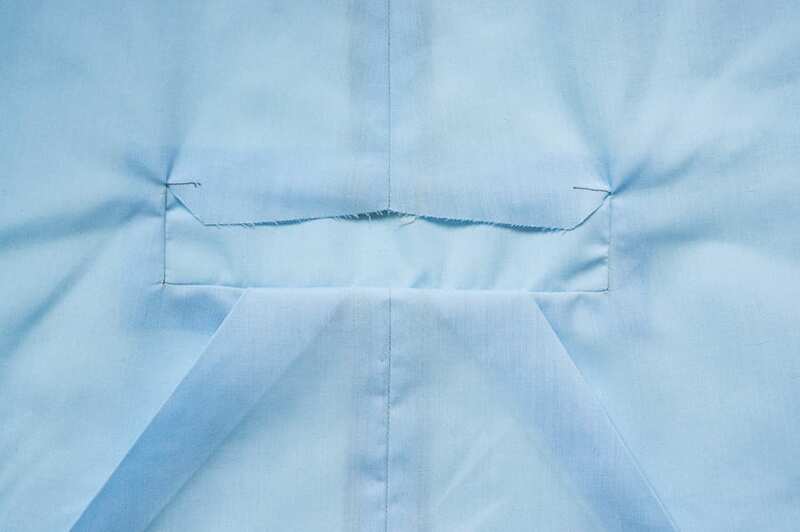 If your fabric is stiff and keeps its shape, be careful not to press too stiff of a fold near the bottom of the pleat. 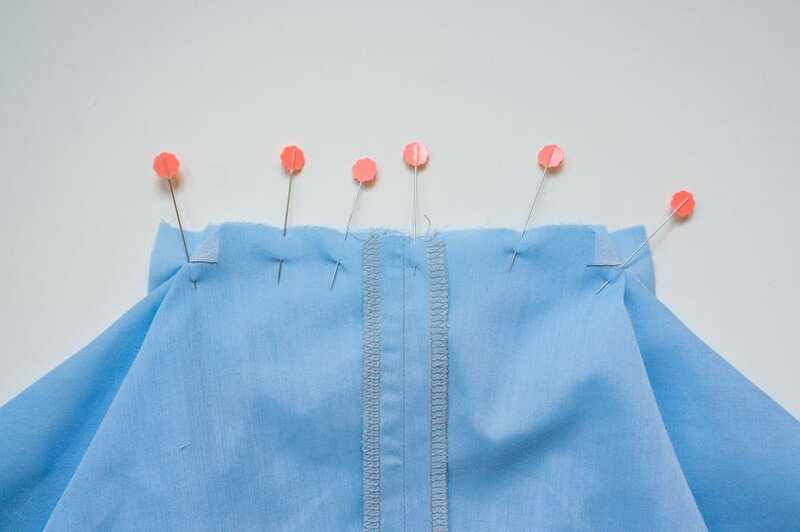 Baste the tops of the pleats into place using a longer stitch length, keeping the stitch line inside your 5/8″ seam allowance. 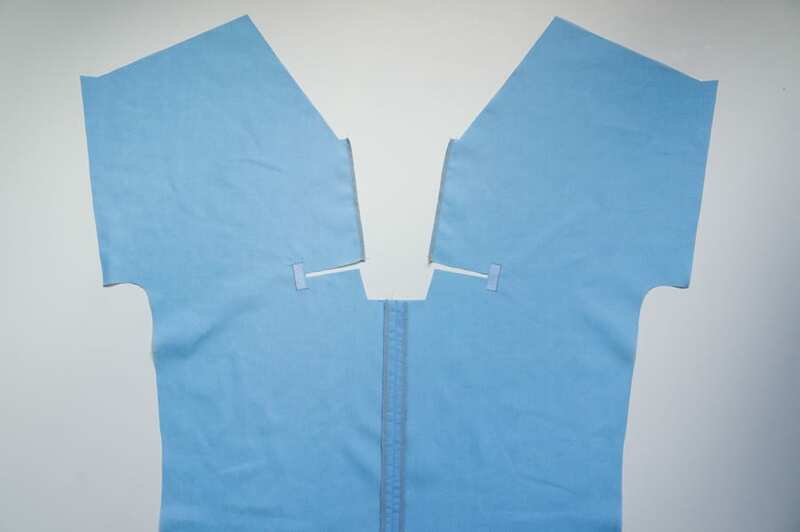 Pin and sew along the center front seam between the V neckline and center panel opening. Press open. The prep-work is done, and now we’re ready to start sewing the panel to its opening. 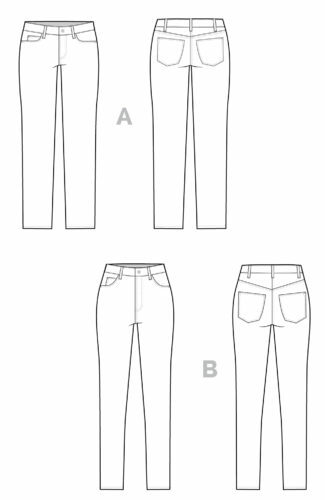 One of your panels should be interfaced, and the circle marks from the pattern piece should be transferred to the wrong side of your fabric. 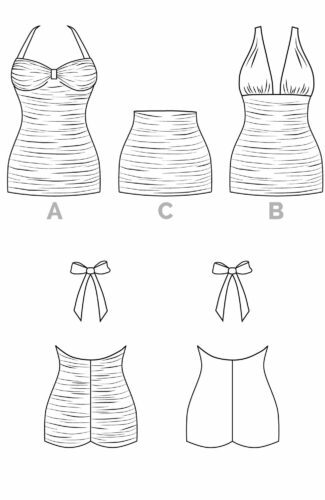 If you would like to add the waist ties, baste them to the center panel piece before attaching it to the front bodice. 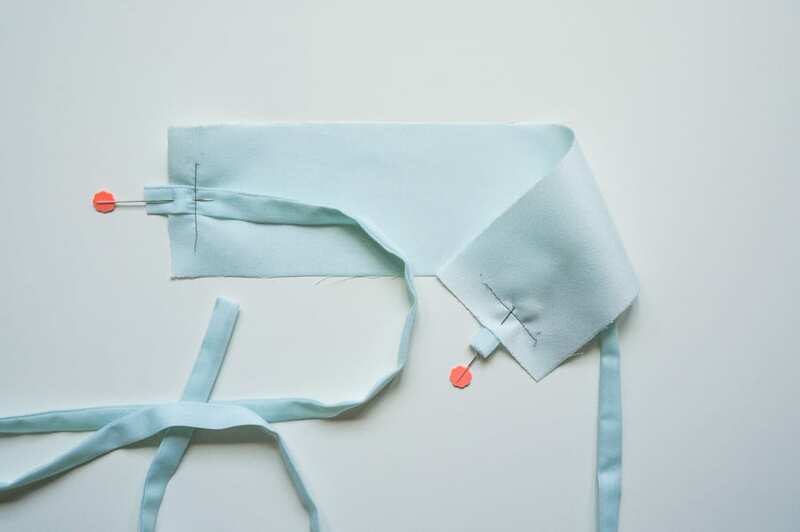 Fold each waist tie together along its long edges, and sew 1/4″ from the open edge. 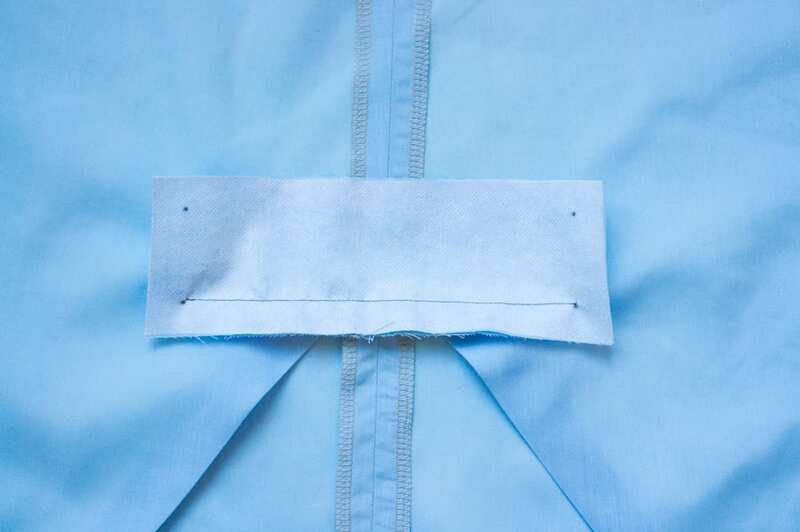 Turn the ties right side out using a safety pin and press flat. 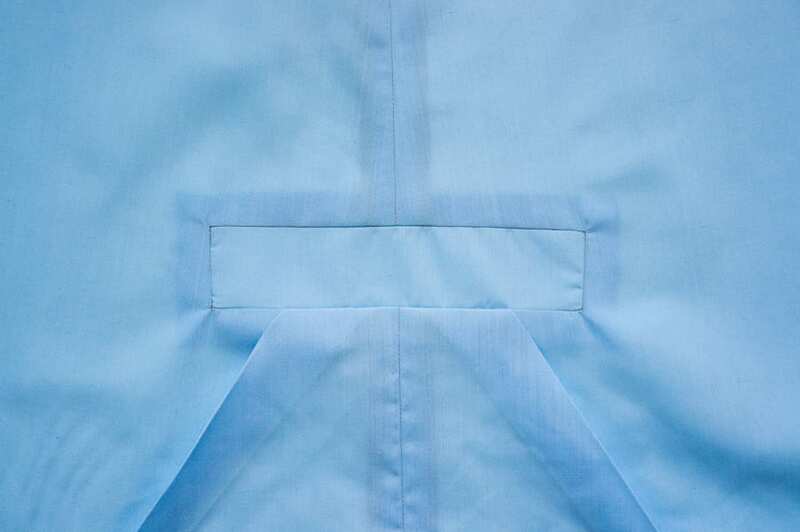 Then baste the ties to the right side of your interfaced center front panel piece within the 5/8″ seam allowance. Now take the interfaced center panel piece and align it with the bottom edge of the panel opening, right sides togeher. 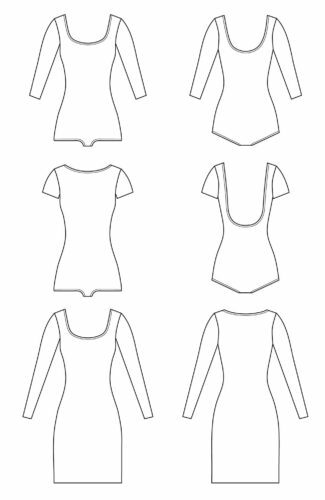 It helps to push a pin through the circle marking of your panel piece and match it to the circle mark on your front bodice piece. 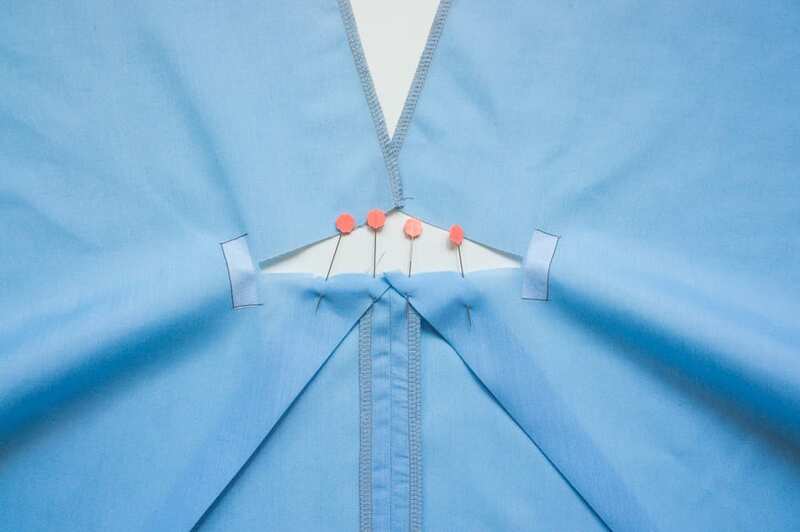 You can flip your bodice to the wrong side to make sure the pin is exactly where it should be. And here’s a shot of the wrong side, for you visual learners! 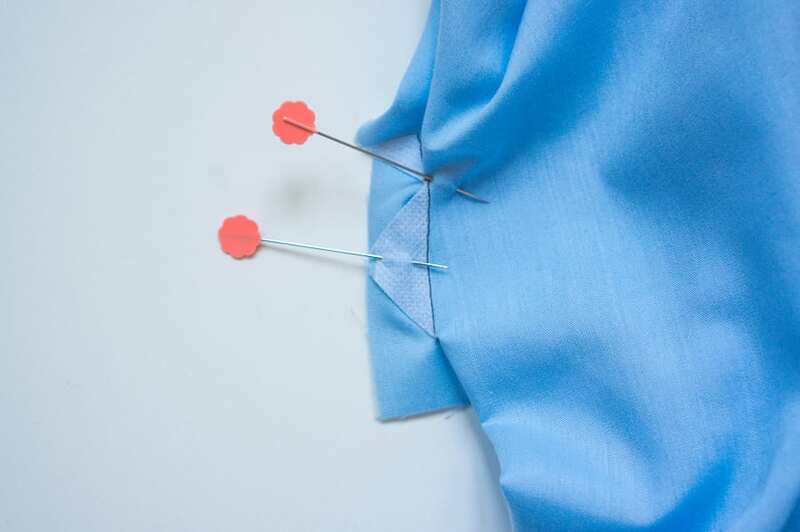 Sew the center panel to the dress between the two circle marks, starting and stopping as precisely as possible at the circle marks. The more precise and careful you are at this step, the more likely you’ll create sharp corners with no puckering. It really helps to go slowly and use a shorter stitch length (approx 2mm) for more control. 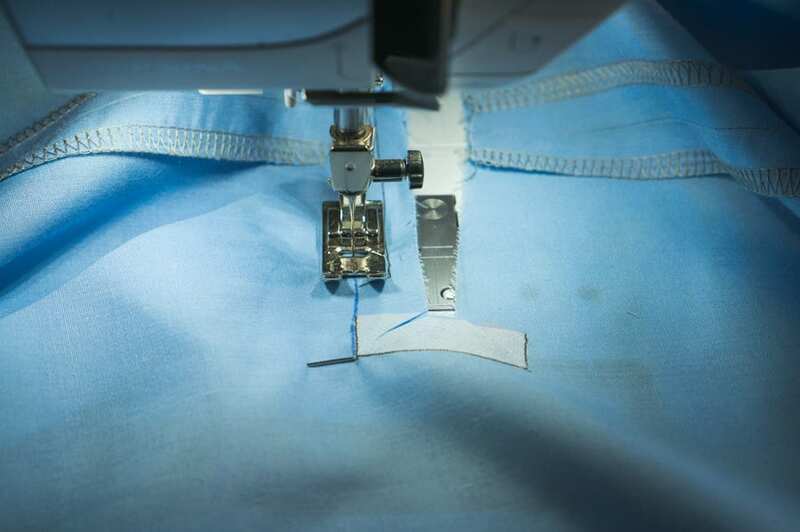 You can even trace your stitch line in with a removable marking tool to make sure you are stitching at the exact 5/8″ seam allowance. 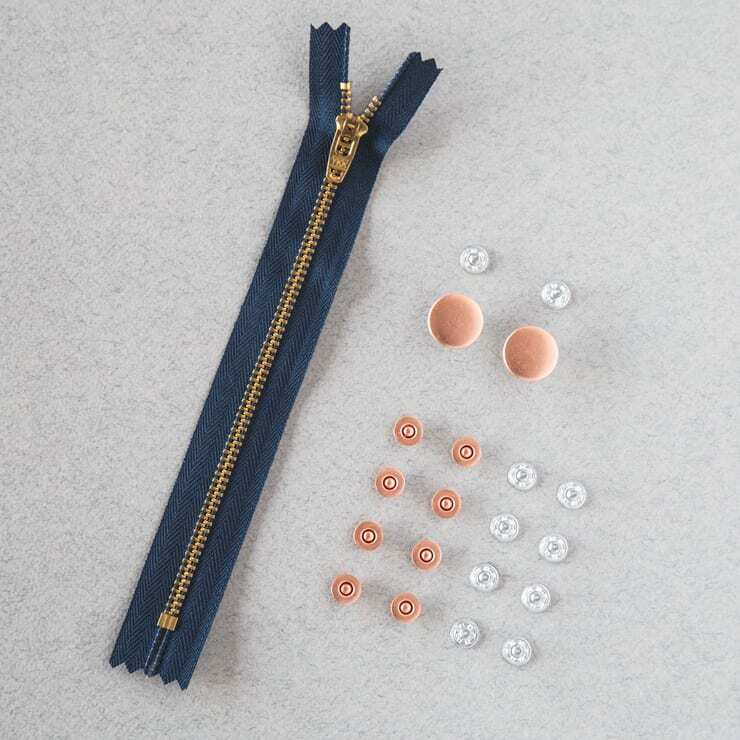 It can be a little tricky to start sewing this stitch line, especially with the gathers. You may find it easier to hand baste this first step before moving on to the machine. I always keep my presser foot up when dropping the needle down to the circle mark to ensure I am starting the stitch line at precisely the right spot. 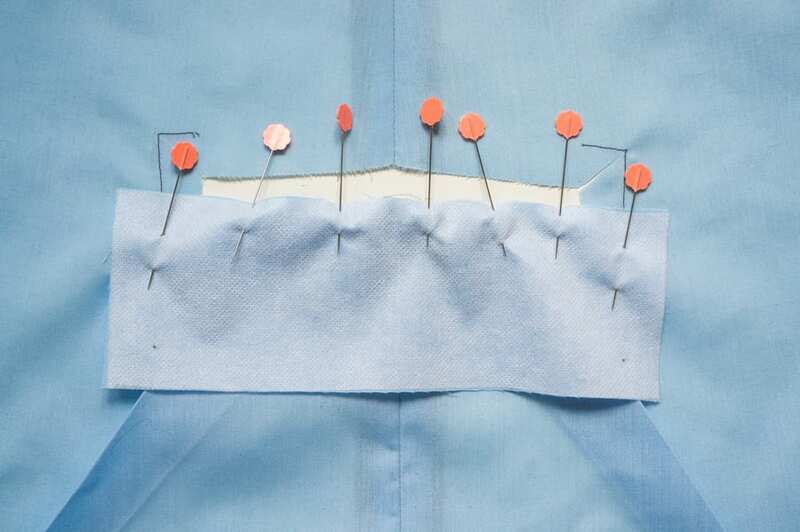 Stitch slowly to make sure you are carefully and evenly sewing over the gathers. 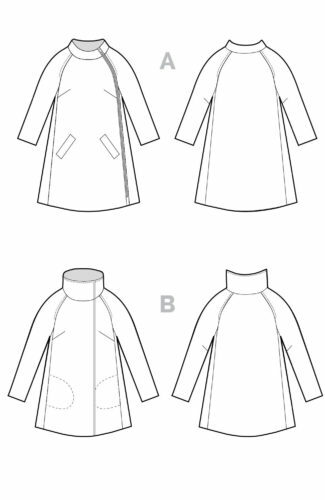 Next, flip the interfaced center panel from the right side to the wrong side of the caftan. The interfaced panel should cover the opening. 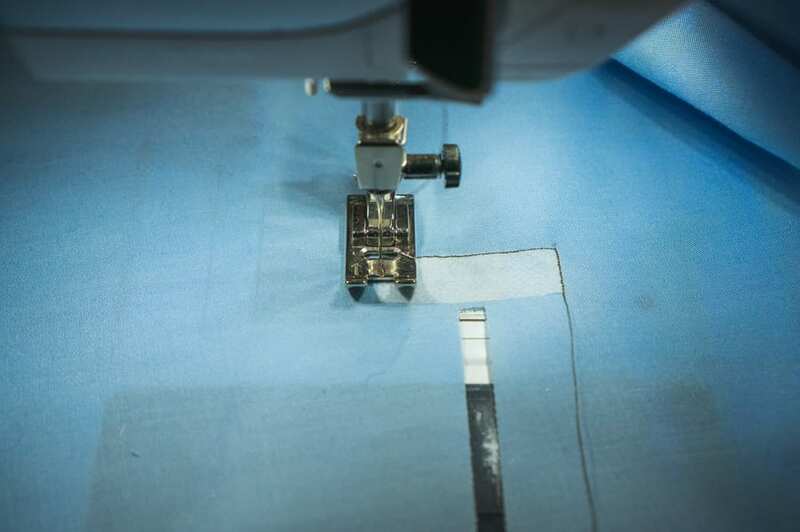 Now we’ll sew one of the shorter sides of our panel to the center panel opening. Take a pin and line up the corner circle marks again. Pin along the edge. This is why we clipped into the corners earlier; the seam allowances can now lay flat against the panel. 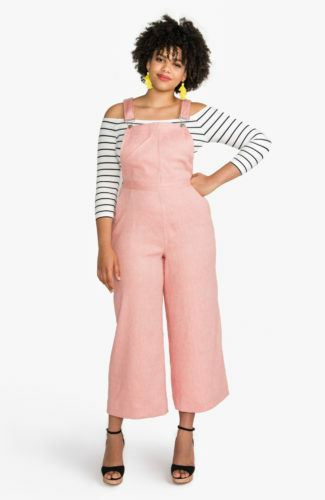 Everything should line up along the 5/8″ seam allowance. Sew along this seam, between each of the circle markings. 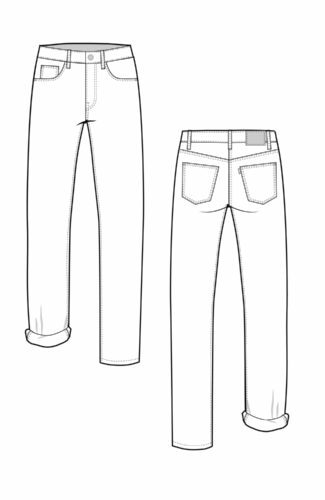 Try to sew at a right angle to the first line of stitching, sewing right at that center point so you get a nice 90 degree corner. 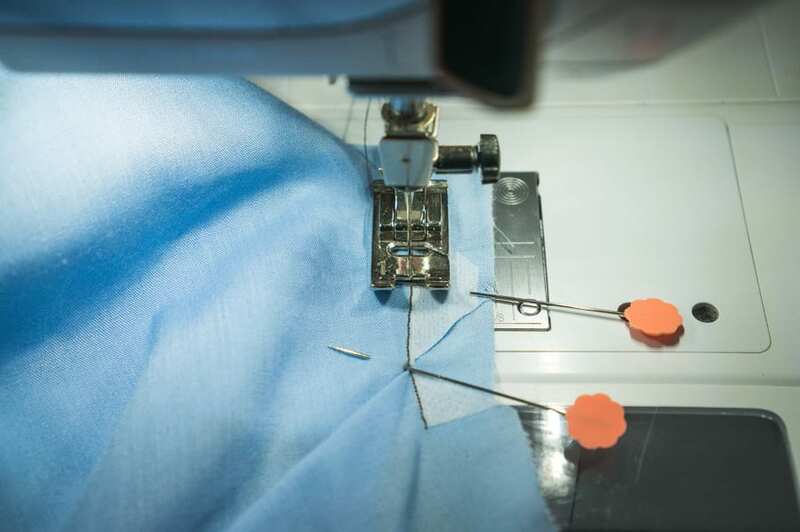 It’s okay if your stitch line extends past the little “triangle” you created when clipping into the corners, but make sure you aren’t catching any extra layers of fabric in your stitching. As I approach the end I use my fingers to make sure the adjoining seam allowance doesn’t get under the needle accidentally. Backsitch at each end. Two sides sewn, two more to go! It’s a good idea to double check that you are getting crisp 90-degree corners from the right side before sewing the next edge. 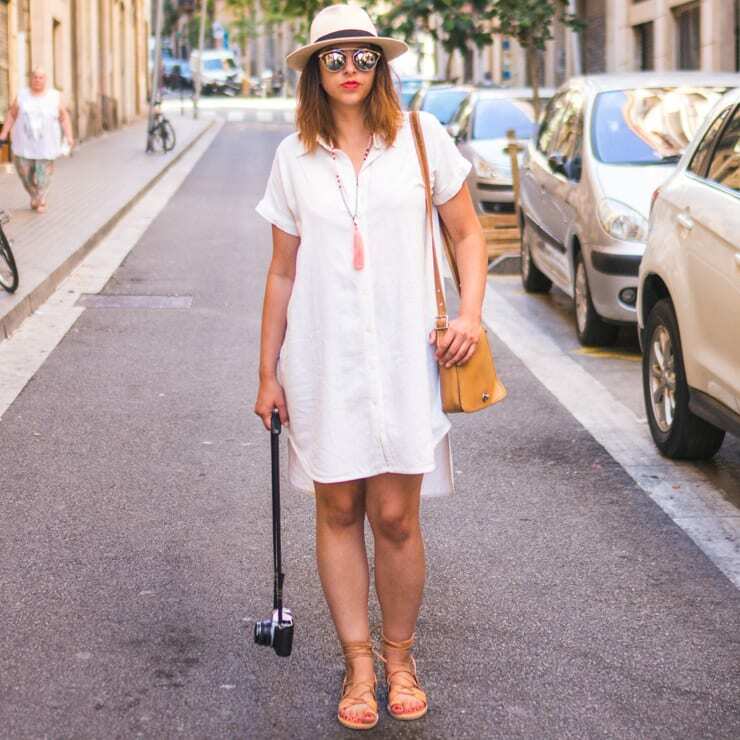 If you have some puckering or if your corner isn’t at a perfect angle, it’s easy to (gently and carefully!) rip out the stitching now and try again. Repeat the same steps for the second short side of the rectangular panel opening. 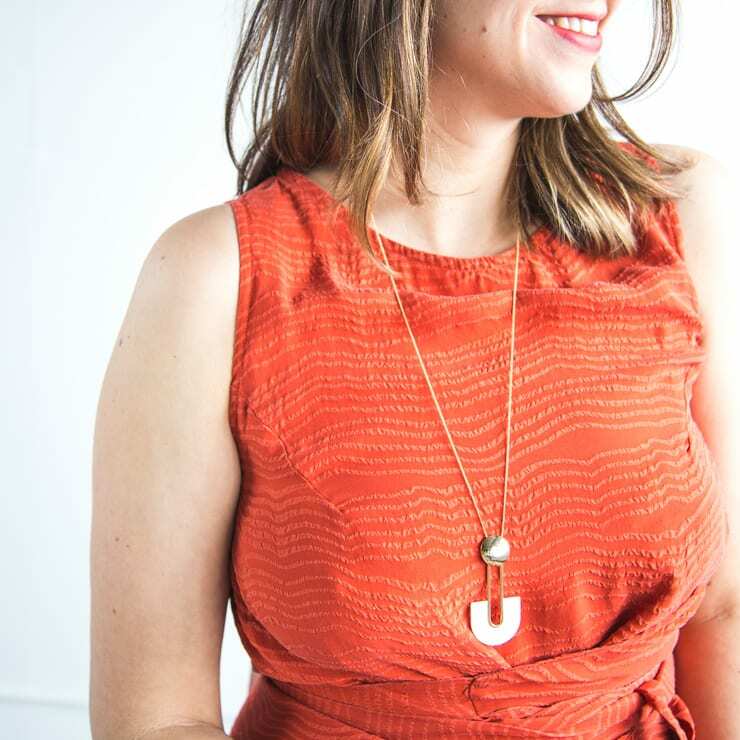 Push a pin through the layers of fabric to match the circle markings. 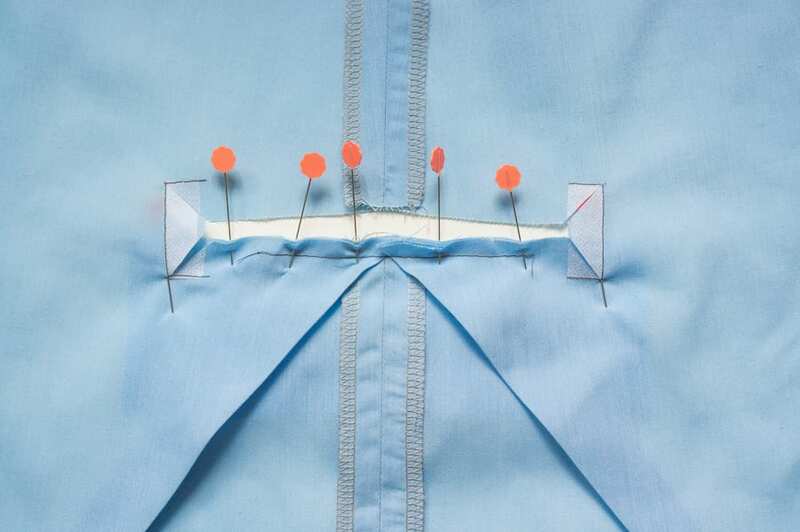 Pin seam in place and sew carefully, again being sure to not catch the surrounding seams in your stitch line. 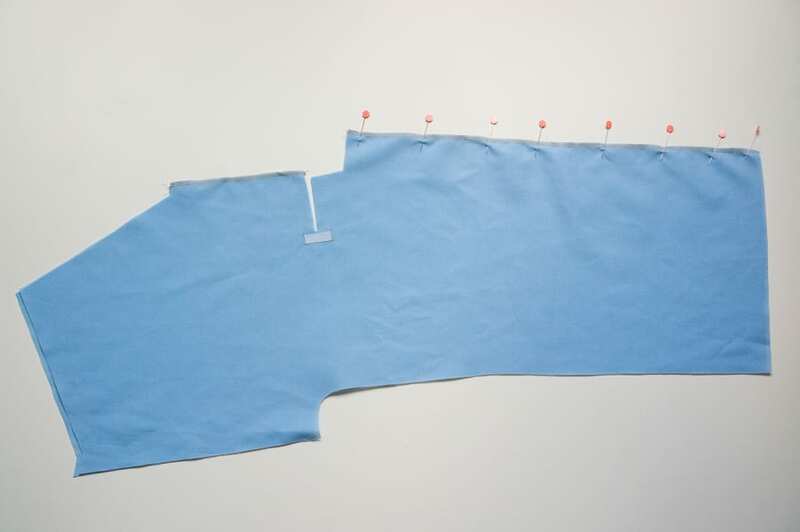 We just have to sew the top edge before the the panel will be fully attached to the bodice. Pin the fourth and final seam of the panel opening to the last free edge of the panel. 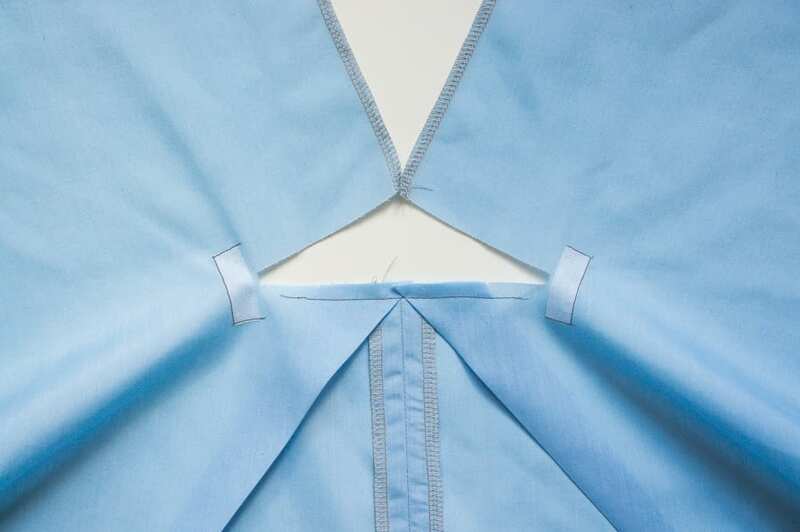 Fold the rest of the bodice out of the way to keep it out of your stitch line. Sew between the circle marks as described above. 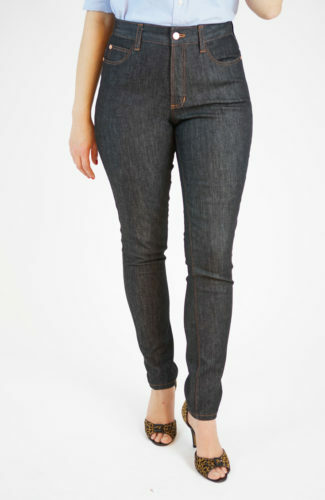 There should be a perfect 5/8″ seam allowance along this edge, if everything was lined up properly up until this point. 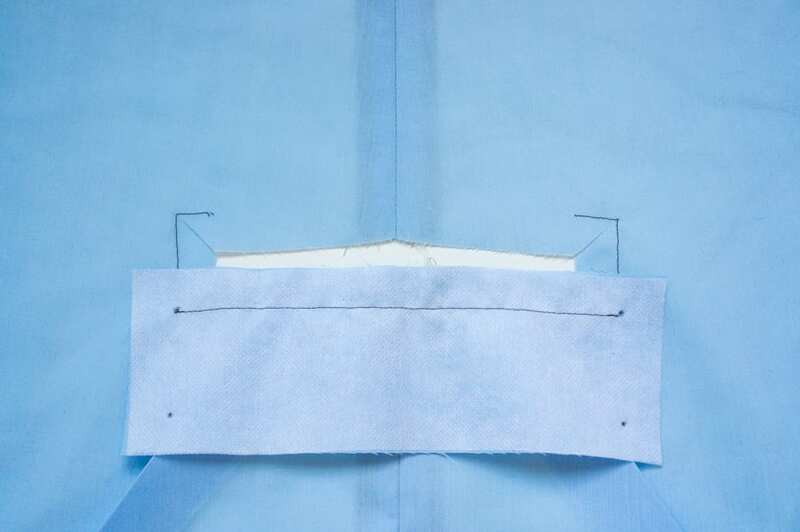 To ensure those nice sharp corners, try to intersect this final line of stitching with the stitch lines along the shorter sides, right at those corner points. 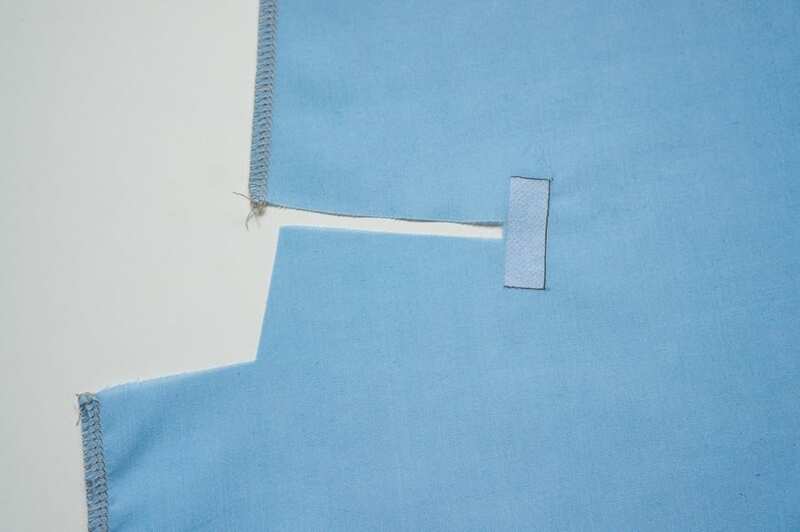 Once you’ve sewn the fourth and last side of the rectangular opening, this is what you should see from the wrong side. The next step is to enclose the back side of the bodice panel and conceal the raw seams, which is covered in our next post. Hopefully this helps those of you who were struggling with this step!